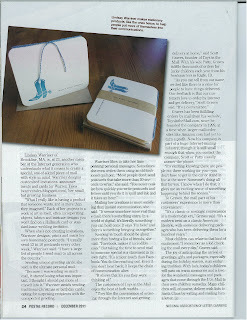 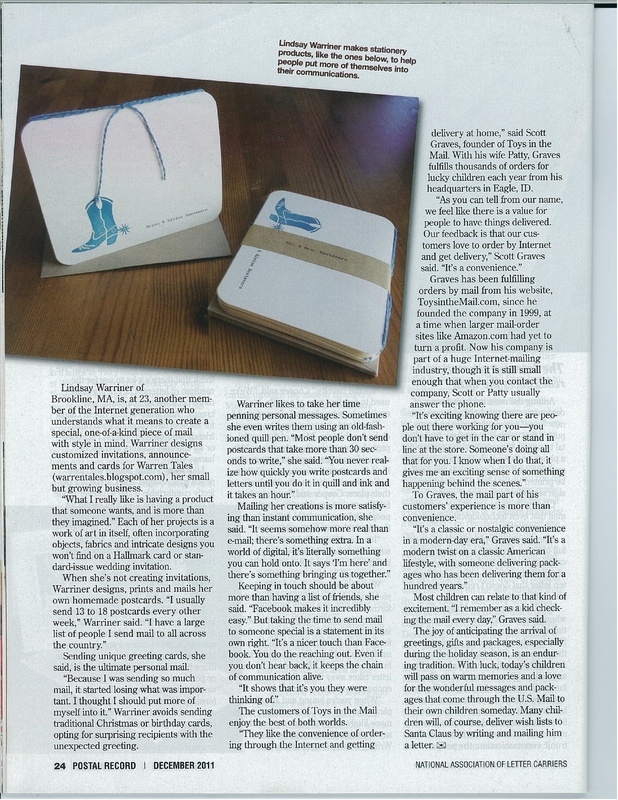 We interrupt your regularly scheduled program to announce Warren Tales' latest published interview! 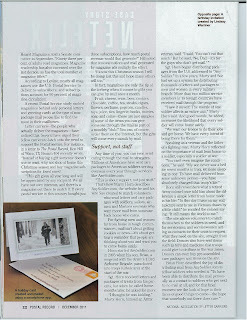 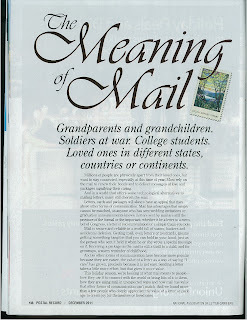 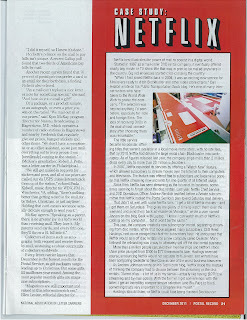 Check out the December 2011 issue of Postal Record (Vol.124/No.12 with the National Association of Letter Carriers) for "The Meaning of Mail." 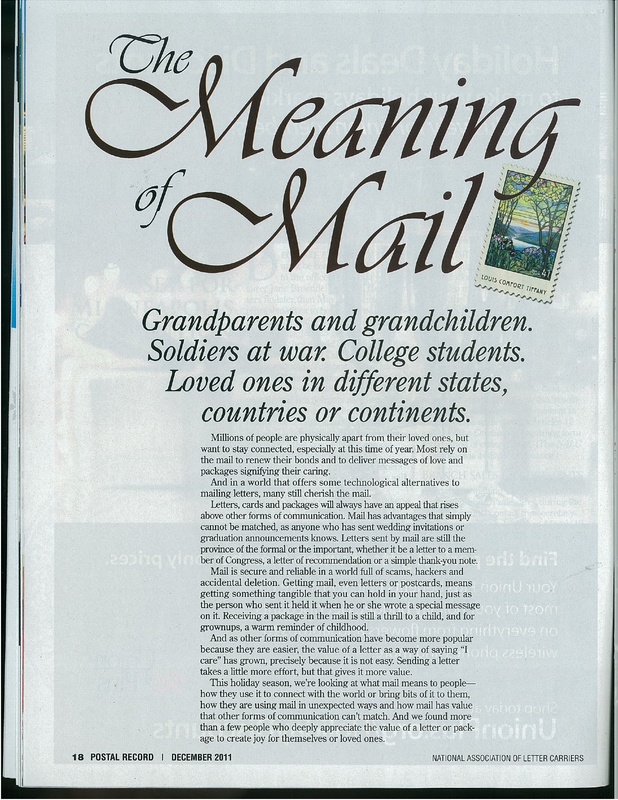 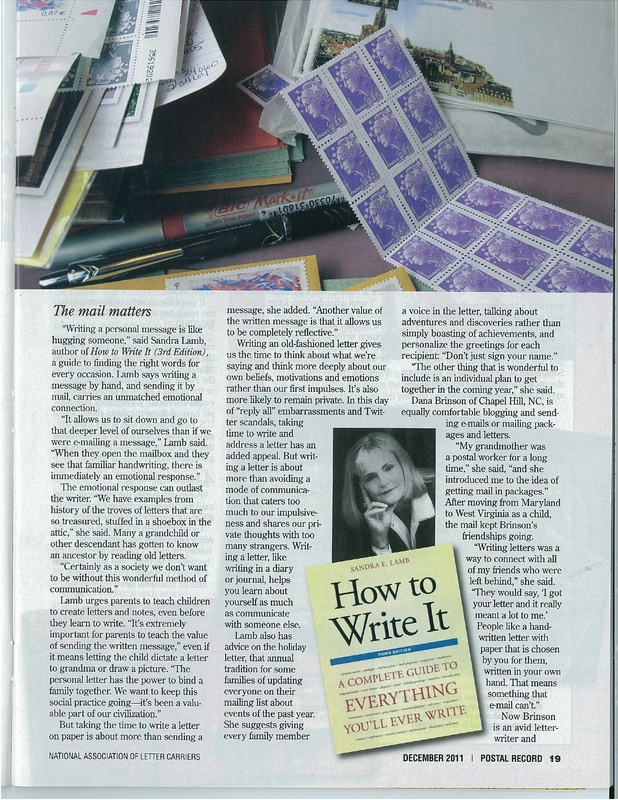 A beautifully written article by Rick Hodges, about the tradition and contemporary necessity of snail mail, and the impact many people and organizations have made through their relationship with the USPS. 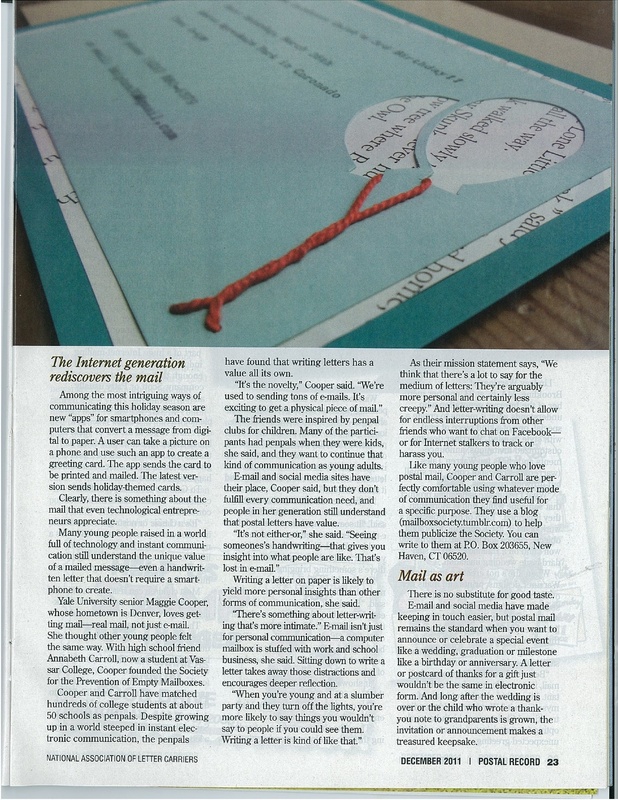 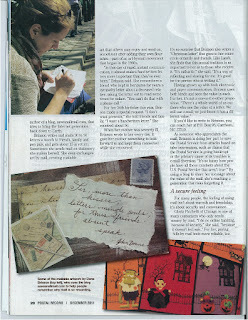 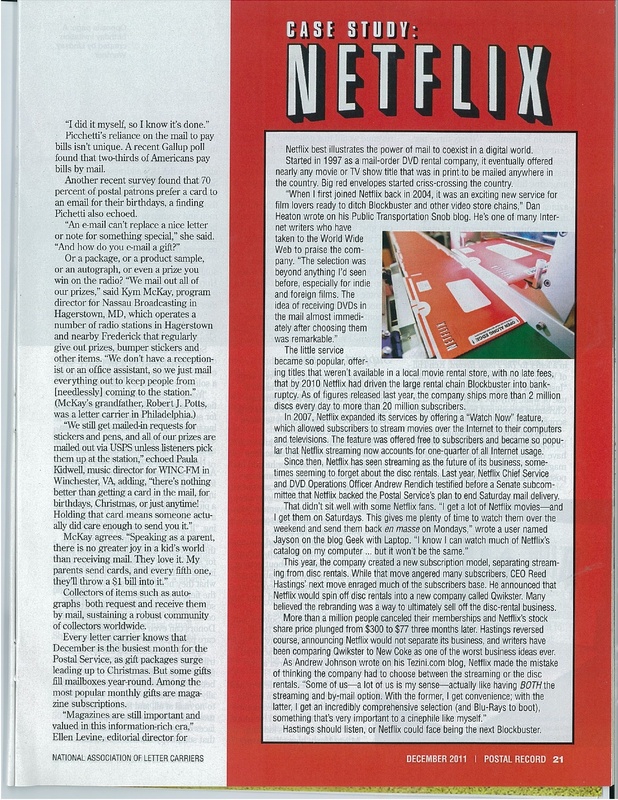 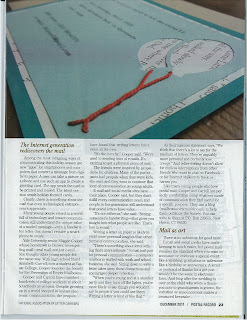 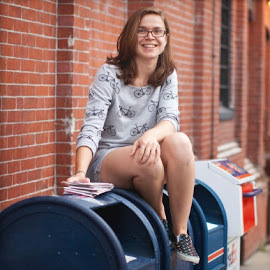 The article includes an interview with, and work by Warren Tales, among others such as savesnailmail, AnySoldier, and The Society for the Prevention of Empty Mailboxes. Hodges' great writing makes for great reading, and I hope you enjoy it as much as I have.